Extensive skills in cargo logistics for clients in diverse sectors like Oil & Gas, Power generation, Infrastructure construction and a wide spectrum of cargo receivers. Heavy lifts and Supply Chain services require specialized knowledge and technical expertise coupled With ‘Aggressive expediting’ to achieve creative solutions and efficient execution. Our Iraq based teams Baghdad, Basra and Umm Qasr give us the ability to serve the varied requirements of our clients with professional ease. The dedicated Oil & Gas Logistics Division is involved with the Logistics of cargoes destined to Oil Fields of Iraq. We are logistic Contractor of renowned Oil & Gas Co. and customs agent approved by South Oil Company Iraq. 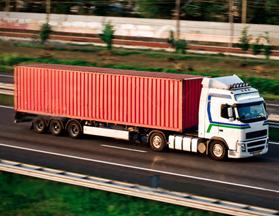 Our synergies and experience in Iraq and numerous advantages allows us to find the optimal solution for the deliveries. Inland Haulage services are offered to connect Umm qasr and Khor AI Zubair ports to all provinces in Iraq. Our customers include reputed shipping lines who offer on-carriage services. Our growing list of clients over the years is evidence of our customer’s satisfaction arising from the dedication and selfless commitment of our teams. We aim to be the best in our industry, whilst always keeping in mind the operational and commercial interests of our clients. We have carried break bulk, project cargoes, heavy lifts and containerized cargoes from Iraqi ports to different inland destinations in Iraq. We strive to be an extension of our client’s implementation teams at location in order to achieve operational efficiency and bring benefit for our clients in terms of Time and Cost. Commitment to quality assurance and continuous Improvement keeps us focused, effective and competitive in this fast changing service industry. Custom formalities for Levy exemption and commercial shipments. Survey & certificates of conformity.